Congratulations on taking the first step toward opening your business! It all starts with an idea. However, the best way to solidify your idea and move forward is to put it in writing. Why do I need a business plan? A business plan allows you to create a roadmap for your business; it can help provide clarity and goal-setting to lead your business to probability. A. Business Plan The plan typically lays out your business strategies and goals five to eight years into the future. A basic plan usually contains eight sections.1 There are plenty of online resources and organizations that are ready to help you create your business plan. 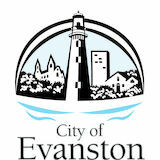 The City of Evanston does not endorse or recommend any specific website or organization. This list is not meant to be exhaustive. Eight Parts to Your Business Plan •	Angel Investors An angel investor is an individual who provides capital for a business start-up, usually in exchange for convertible debt or ownership equity. •	Bootstrapping Funding/financing a business venture based on one’s own funds. •	Crowdfunding Crowdfunding is characterized by fundraising a project or venture by raising small amounts of money from a large number of people, typically via the Internet. •	Friends and Family •	Microloans Microlending is the practice of granting small loans to people in need. These loans are generally used by entrepreneurs who are starting a business, or those who need extra cash to expand. •	Small Business Administration (SBA) Loan The SBA works with lenders to provide loans to small businesses. The agency doesn’t lend money directly to small business owners. Instead, it sets guidelines for loans made by its partnering lenders, community development organizations, and micro-lending institutions. The SBA guarantees these loans will be repaid, which eliminates some risk for the lending partners. •	Small Business Loans A small business loan is an amount of money borrowed from a financial institution by a small business-person to start, run, or expand a small business. The City of Evanston does not endorse or recommend any specific method of financing or funding. This list is not meant to be exhaustive. The City of Evanston does not endorse or recommend any specific financial entity or organization over the other. This list is not meant to be exhaustive. The City of Evanston does not endorse or recommend any specific agency or organization over the other. This list is not meant to be exhaustive. Before you can open your doors, you need to register with a few agencies; the number depends on your occupation and business model. If you are licensed by the IDFRP, but have a retail component to your business (i.e., you sell hair or beauty products, medicine, t-shirts, etc. ), you will have to be licensed by the City of Evanston as well; please refer to page 7. Additionally, if opening your IDFRP-licensed business requires buildout, you will have to obtain a Certificate of Occupancy; please refer to page 11. No General Business License is needed for a home-based business, however, the business owner must contact the Planning & Zoning Division to provide address and discuss particulars. While no general business license is required, major home occupations must obtain a permit from the Zoning office, which costs $110. A Zoning Compliance letter can be provided if the business owner requires proof of a home-based business. Minor Home Occupation Your business qualifies as a Minor Home Occupation if it meets all of these conditions: •	You are using less than 15% of the floor area of your home or 400 square feet (whichever is less) •	You are not selling products directly to customers •	Only home residents are employed on the premises •	There are never more than three clients at one time at your home and no more than six clients total per day •	You never have more than one (1) delivery of bulk material per week and that delivery occurs between 8 a.m. and 5 p.m.
Who needs a food establishment license? All Evanston facilities that include food preparation, service or sales to the public, even when those food operations are not the principal use of the facility, are licensed by the City of Evanston Health and Human Services Department’s Environmental Health Division. Licensed facilities include restaurants, convenience stores, schools, churches, caterers, day care centers, gas stations, senior living residences and many more. Food establishments only need the Food Establishment Business License, not a General Business License. Quick link to Food Establishment Business License application For more information about the general business license, please see page 11. F. Liquor License If your business plans to sell alcoholic beverages, you will need a liquor license. There are various liquor licenses categories based on different business models. In order to better understand what license category fits your business model, we encourage you to take a look at the Liquor Control Regulations in the municipal code. Familiarizing yourself with the code will help you understand your responsibilities and duties as a liquor license holder. Quick link to Municipal Code Furthermore, if your business model does not fit into one of the current liquor license classifications, you may propose an amendment. Please contact the City of Evanston’s Liquor Licensing Manager with questions or to submit an amendment request. The process to obtain a liquor license typically takes 60 to 90 business days9 from the moment you file a liquor license application. It is important that the application is thoroughly completed. Quick link to liquor license application BYOB (bring your own bottle) is not regulated by the City Code. Consequently, the City of Evanston does not issue BYOB licenses. Actual length of process varies from case to case. H. General Business License All businesses that are not currently licensed under a state or federal law, are not home-based, and are operating for-profit within the City limits, must have a license. Each business entity must have its own license. The following business types must have a license to do business within the City regardless of where the physical headquarters of the business is located: landscaping, pesticide and/or weed spraying, lawn fertilizing, pickup and delivery of laundry or dry cleaning at dwelling units, garbage or refuse pick-up. There are a few steps you have to take in order to obtain your general business license: 1. Check with the Zoning Division that the location you have chosen is zoned appropriately. Make an appointment by calling 847-448-4311 or email zoning@cityofevanston.org. 2. You must fill out a General Business License application. 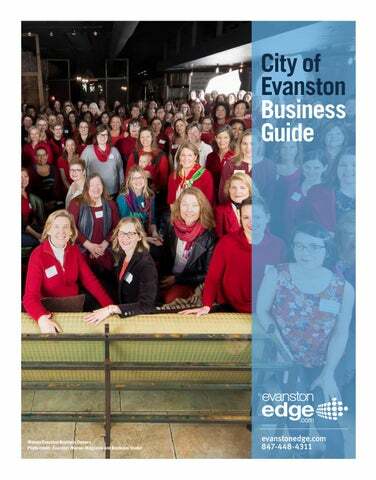 Once it is fully completed, email it to economicdevelopment@cityofevanston.org or you may mail it or drop it off at the Morton Civic Center (c/o Economic Development, 2100 Ridge Avenue, Room 3600, Evanston, IL 60201). 3. Once we receive your application, it will be submitted for final zoning approval. 4. If you are not performing any build-out to your building, you will have to schedule a Fire, Life, and Safety Inspection with the Evanston Fire Department upon staff recommendation. However, if you conduct a build-out, we will need to obtain a digital copy of your Certificate of Occupancy; no Fire, Life, and Safety Inspection is needed in this case. 5. Upon receiving a copy of the Fire, Life, and Safety Inspection report or the Certificate of Occupancy, staff will send you an invoice, which you will be able to pay online. After payment is received, a General Business License will be issued. Section 5: Ribbon Cuttings & Getting Involved Evanston has a very robust and organized business community. There are many options to get involved and market your business. Learn how to start and grow your business in Evanston.